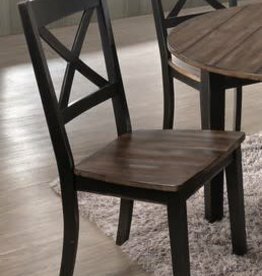 Cross-Back Dining Chair. Sold in pairs of 2. Made of real rubber wood. Wooden distressed seat top.